Update: Facebook has confirmed that it is indeed making Facebook Credits mandatory for Games, with the rule going into effect on July 1 2011. Facebook says that Credits will be the exclusive way for users to get their ‘real money’ into a game, but developers are still allowed to keep their own in-game currencies (FarmBucks, FishPoints, whatever). For example, Zynga can charge you 90 Facebook Credits for 75 CityCash in CityVille. 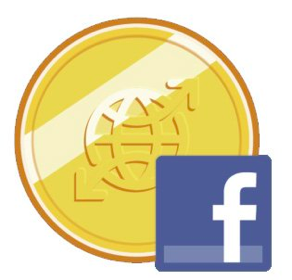 However, there will be incentives for developers to sell goods in terms of Facebook Credits instead of their own proprietary currencies: items that are sold in terms of Credits can be promoted on Facebook’s Games dashboard, and will be eligible for more targeted ad programs. Facebook’s Deborah Liu says that it has been testing Credits in a beta program with 150 developers across a range of games. The company acknowledges that some developers may not be pleased with the news, explaining this is why it is announcing the news five months in advance, so it can “have an open conversation with developers”. The rule only applies to Canvas games (games that use Facebook Connect aren’t affected), and while it’s games only at this part, Facebook says that it eventually would like to see all apps using Facebook Credits.